The heat is on for the last weekend of Summer! Make the most of the weather by enjoying the sunshine by the water at Docklands. Take a look at what’s coming up! 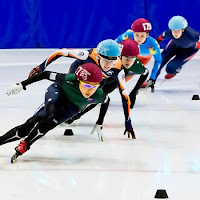 Come and witness the thrill, speed and strategy that is short track speed skating. 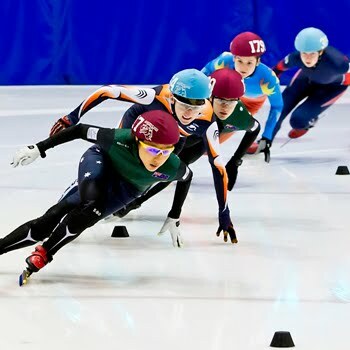 For the first time in sporting history, Melbourne’s Medibank Icehouse will be hosting the world’s elite junior short track speed skating champions, competing on ice for medals in distances including the 500m, 1000m, 1500m, and the Mens and Ladies Relay. Expect 230 athletes from 29 different countries to take to the rink. Head along and spectate the exhilarating competition all weekend! I scream, you scream, we all scream FOR ICE-CREAM! Cool down at Mischa's this summer with a free ice-cream! Simply spend $25 or more and receive a free Frozen Chosen dessert! You’ll have to get in quick because the special offer finishes at the end of this month! 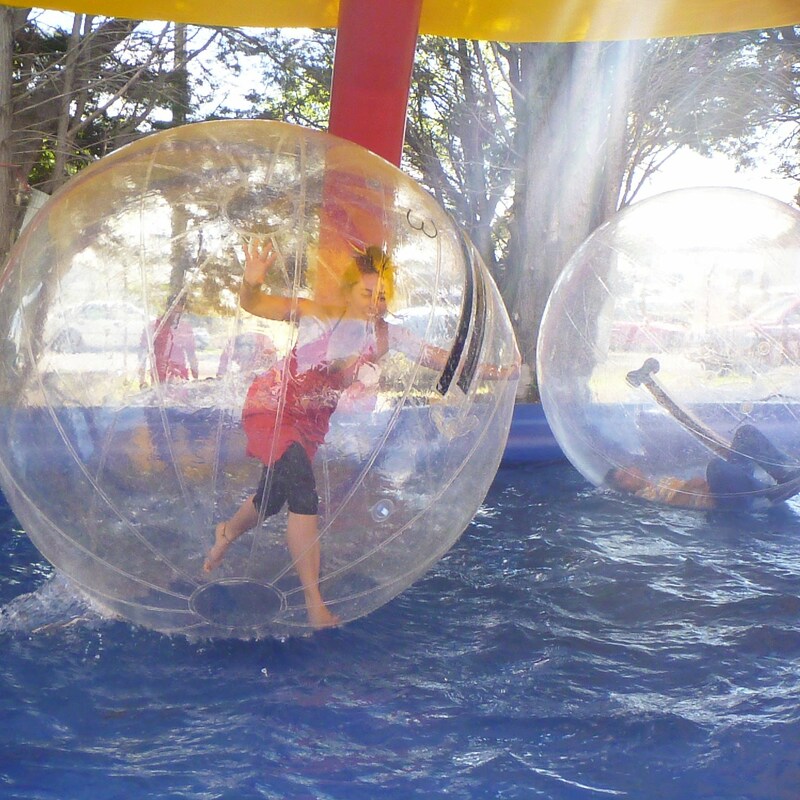 Wonderland Fun Park wants everyone to make the most of having fun in the sunshine whilst Summer is still around! Currently they are offering a spectacular special- For just $49 you can treat 4 people to Wonderland Fun Park for a day of rides, attractions and snacks! Simply like their Facebook page and follow the link to take advantage of the special offer. The weather forecast is looking good for the last weekend of summer- why not head to Docklands Sunday Markets? Enjoy a free day out with family and friends, browsing stalls with a variety of gifts, trinkets, toys and plenty more treasures to find. When your feet start to get weary, rest and relax with a meal at a nearby restaurant. 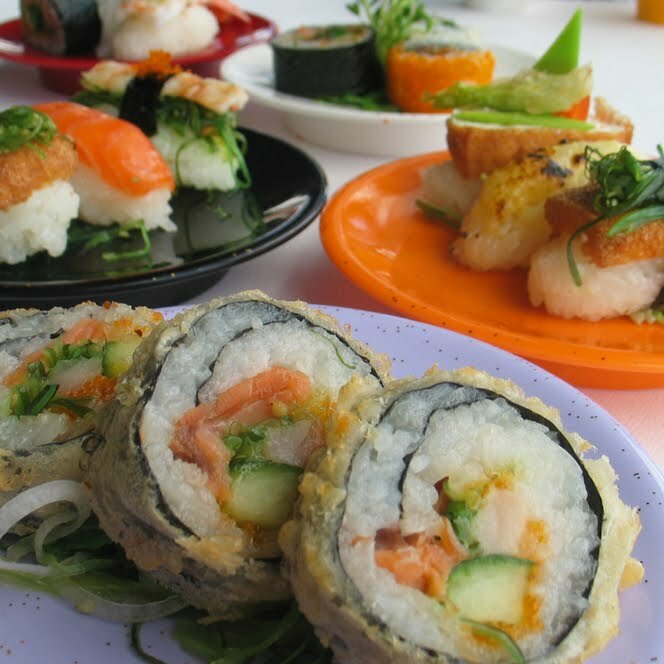 Orient Express is just a short stroll away at Harbour Town- The sushi train will impress with both its hot and cold options circling around the train. If you don’t feel like sitting down, its new take away option may be just what you’re looking for- grab a container and pop in your favourite dishes right from the train, then simply pay per plate you choose! This weekend marks the return of the AFL football, with the NAB Cup round one kicking off Friday 17th Feb. Hawthorn, Richmond and North Melbourne will play each other at Etihad Stadium to see which teams will make their mark this season! Looking for a feast to get you through the match? Who could say no to pizza & beer?! Mischa’s Pizza, Pasta & Salad are offering any pizza or pasta from their footy menu plus dessert for just $25. 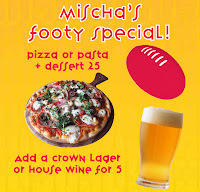 Add on a Crown Lager or house wine for an extra $5! Enjoy the hypnotic sounds of Latin music at Waterfront City during Melbourne's summer months. Each Sunday until March 25, 2012, Waterfront City Piazza plays home to one of Australia's finest open-air dance events. This free event is open to everyone including first timers, families, kids and dancers from everywhere. The Piazza makes a perfect setting for dancing in the shade of afternoon and evening sun. World class views of Docklands combined with restaurants, cafes and fantastic shopping make this even an all round winner. Don’t just come down once, come every week and enjoy this precious opportunity while it lasts! Orient Express has an all new takeaway concept! As well as pre-packaged fresh sushi to take away, Orient now also has the option to take away your favourite dishes straight from the train! Simply grab yourself a container and fill it with whatever takes your fancy. Waitresses will then count your plates and you pay accordingly to their value. If you don’t see your favourite menu item coming around on the train, just ask- Chef will be preparing it fresh in no time! Visit James Squire each Wednesday for a fun night out with friends or family- Host Alan Lovett will keep you entertained with quirky, interesting and mind testing questions. Great prizes are up for grabs throughout the evening. A great option is to head along for dinner and drinks then finish off the night with plenty of laughs! Leave things to the last minute? Don’t settle on the last roses left in the florist, take that someone special out for a fun and casual dinner for 2 at Mischa’s Pizza, Pasta & Salad! Share the love with their Valentines Day special- Select any two pizzas or pastas from Mischa's special events menu for just $45. Plus every couple will receive a complimentary glass of sparkling wine on arrival! 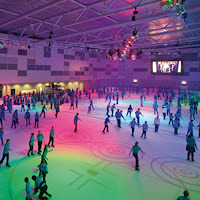 Come celebrate Valentines Day on ice! 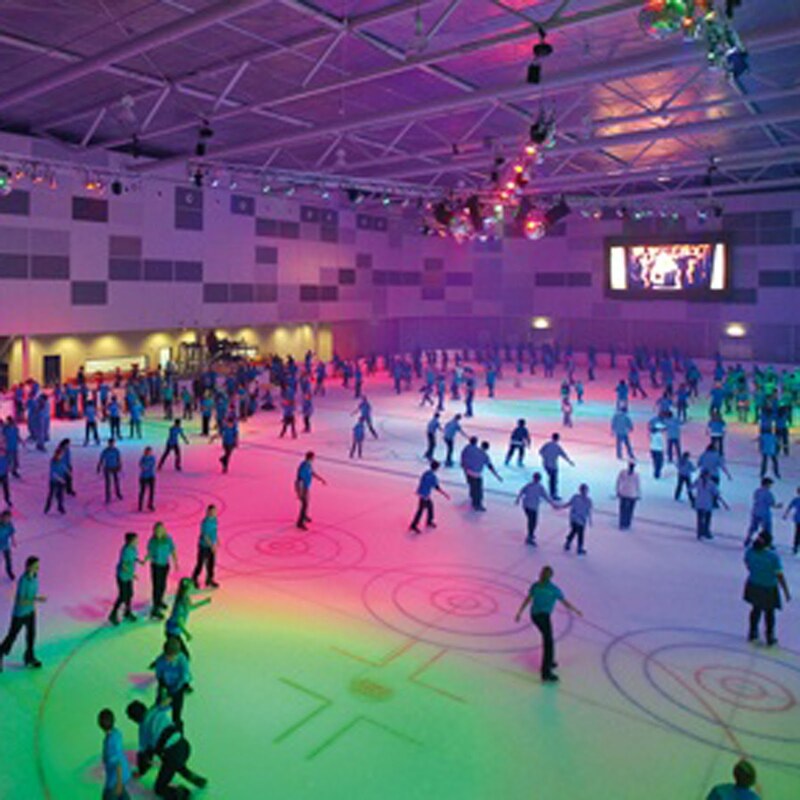 On Valentines Day, pro ice hockey players and figure skating cheerleaders will come together to guide and encourage singles to hit the ice as part of the inaugural Skate Date Night at Medibank Icehouse - and you're invited! Have friends visiting Melbourne? Or maybe you're after a romantic night away from home? The Grand Mercure Apartments are located right by the waterfront precinct at New Quay. Surrounded by an endless source of entertainment, shopping, dining and leisure activities, the apartment is also made ideal due to being within walking distance to the CBD. Grand Mercure also currently offering a special deal- present your room key at selected Docklands restaurants to receive a FREE bottle of wine! 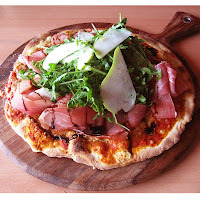 Mischa’s Pizza Pasta & Salad, Livebait, Grill 66, Mecca Bah, BlueFire Churrascaria Grill and James Squire Hotel. Bring the whole family down to Docklands for a weekend around the water! 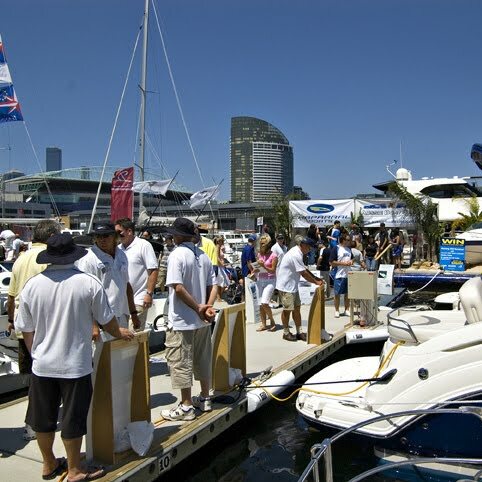 Previously the International Boat and Lifestyle Show, the newly named Melbourne Summer Boat Show will be held at Docklands between 3 and 5 February 2012. 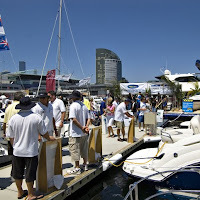 It is Melbourne’s only on-water event featuring a colourful display of yachts, power vessels, trailerable boats, personal water craft (PWC’s) and more. Also on offer both on and off the water is a myriad of family oriented activities, demonstrations and come and try sessions. Summer, sunshine and shopping- what better excuse do you need to stroll by the diverse stalls and entertainment available this weekend at the Docklands Sunday Market! Enjoy browsing arts and craft, vintage, ladies wear, jewelery, beads, handmade soaps, plants, books- the list goes on! Make a day of it with lunch at a nearby waterfront restaurant! Click here for a guide to eating out at Docklands! 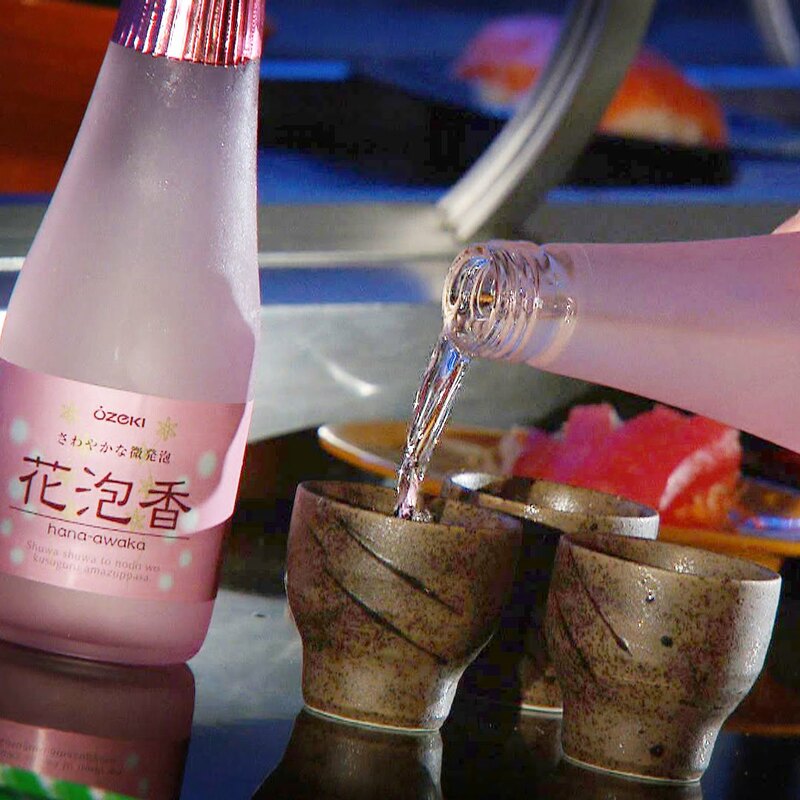 Visit Orient Express at Harbour Town, the worlds first hot and cold sushi train and enjoy a traditional Japanese beverage for less! Currently Orient Express is offering half price sparkling sake for $11 (regularly $22) to sip down with your favourite hot and cold dishes at Orient Express! 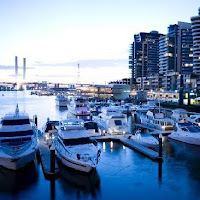 Docklands venues are quickly selling out for a romantic Valentines Day dinner by the water! Be sure to get in soon to avoid being disappointed- or more importantly, disappointing that someone special! Click here to take at look at a suggested list of venues offering a Valentines Day special.